True story: when I was ten years old, the movie Lilo & Stitch came out and I became a girl obsessed. Obsessed with Hawaii, Hawaiian culture... You name it, I was obsessed with it! My love for Hawaii and its culture has carried on through my adult years, and although I've never visited the beautiful state of Hawaii, I am always drawn to products from the tropical state. 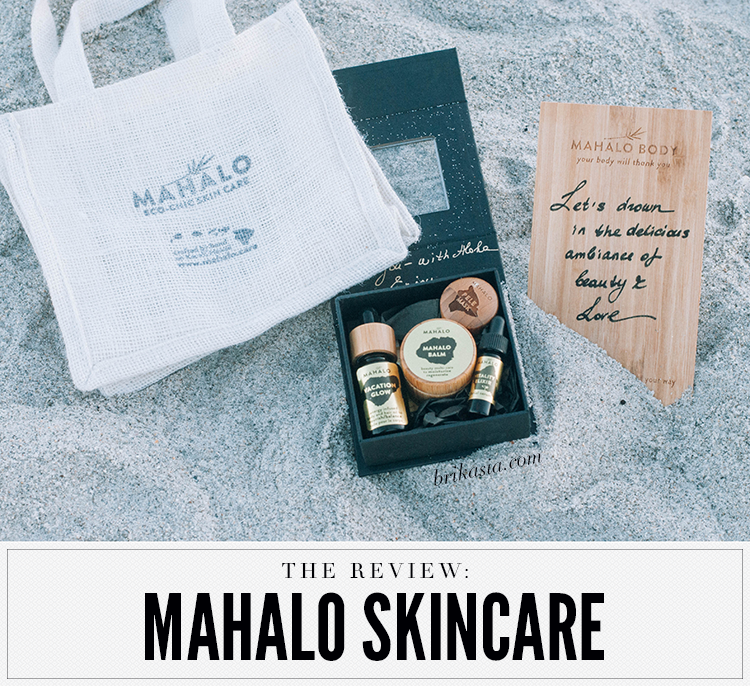 So, as you could imagine, when I was introduced to Mahalo Skincare, I was all in. 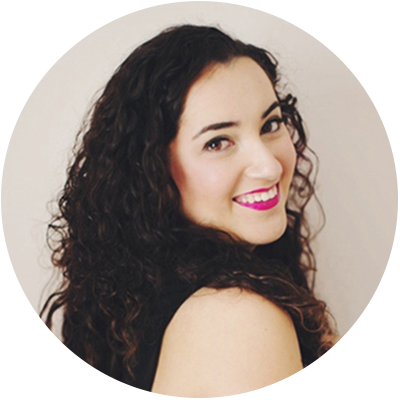 I was able to meet co-founder Maryna at A Night For Green Beauty, which is also where I purchased the sampler kit so I could test out each of the products available from Mahalo. And before I talk about the products, isn't that burlap bag and handwritten poem on bamboo absolutely adorable? It's these little touches that have endeared me to the brand. 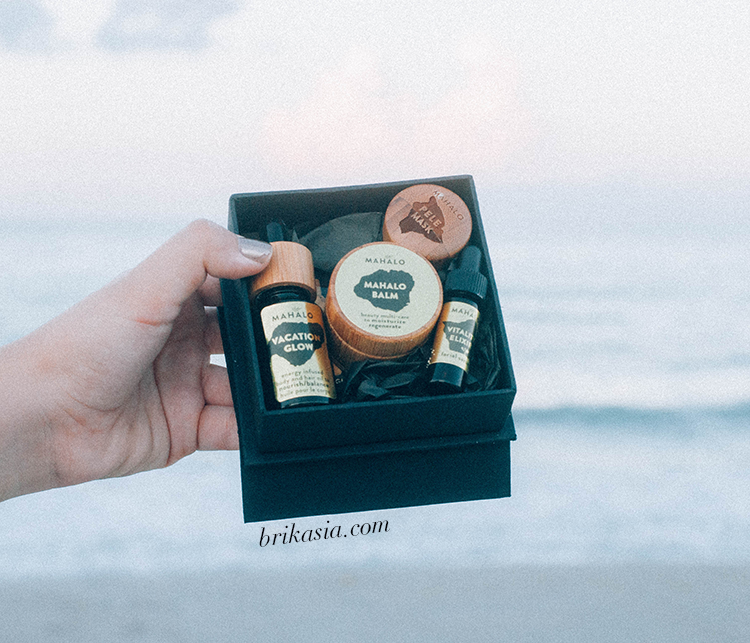 The Mahalo sampler set contains trial-sized versions of the products in their line: Pele Mask, Mahalo Balm, Vacation Glow, and Vitality Elixir. I don't believe this set is available online, and may have only been an ANFGB special. Which is a shame, because I love little sets like this so I can try everything in the line to see what works best for me and what doesn't, BUT if you place an order with Mahalo, I believe you can request samples of other products you'd be interested in trying. The Pele Mask is a dry powder mask that you activate with water (or another mixing medium such as honey). It become a soft mousse that you then apply over your face and leave on for about 20-40 minutes. When applied, you can expect a warm and tingling sensation (which is a sensation I love, but if you have sensitive skin you may not like this mask). The benefits of this mask include detoxifying and tightening pores, boosting circulation and cell renewal, calming of inflammation, combating and healing blemishes, and fading of dullness in the skin. The Mahalo Balm is a moisturizing balm chock-full of amazing, high-performing ingredients that deeply moisturizes the skin and calms inflammation. It looks orange in appearance, but applies clear to the skin. The balm protects from environmental damange and soothes irritated, sensitive, and inflamed skin due to various skin conditions and acne. 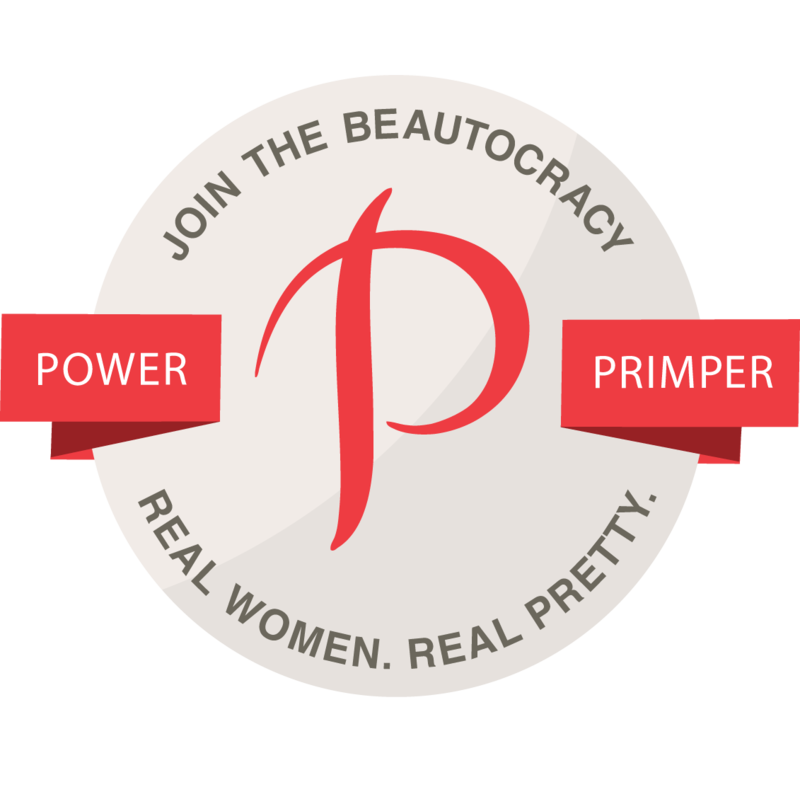 It also helps regulate sebum production for a balanced complexion. The Vitality Elixir is a facial oil that contains high levels of omega-3's and antioxidants that offer skin rejuvenation and also reverse the signs of aging. It helps protect the skin from environmental damage and combats and heals acne breakouts. The Vacation Glow is a body oil that helps nourish, soften, maintain elasticity and restore radiance to dull and thirsty skin. It provides skin hydration, inspires increased energy and wellbeing, calms and nourishes hair, and perfumes skin with an invigorating floral scent. For me, the standout product is the Mahalo Balm. I cannot get enough of it! It has truly balanced out my skin, and moisturizes my skin really well without leaving it greasy. 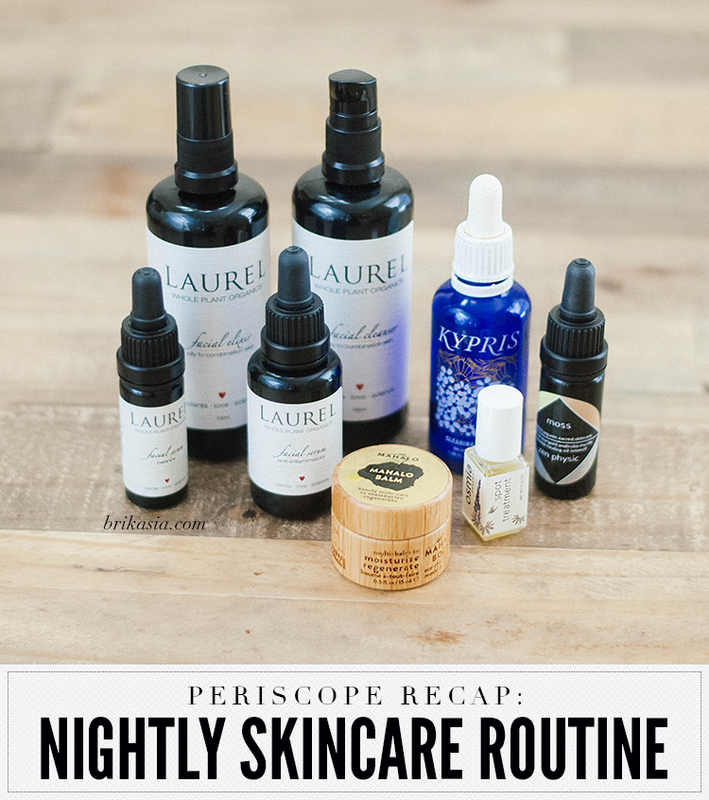 I slather it on at night before I go to bed, and it calms my skin down (I spoke about it in my nightly skincare routine recap). The balm is great for all skin types, especially those with dryness and irritation (like acne!). I will definitely be purchasing the full size version of this balm. I love it! The rest of the products are also very effective. If you are a fan of earthy/herbal scents, then you'll love these products and how they smell. I personally prefer more floral-smelling scents, so the scent of these products were not my favorite (aside from the Balm- I enjoy the scent of it and it doesn't bother me at all). Smell aside, these products are wonderful for problem skin like mine. If you're going to try anything, I would definitely have to recommend the Mahalo Balm, with the Pele Mask coming in as a close second. Have you tried anything from Mahalo yet? Anything catching your eye? Sound off below! Disclosure: All products were purchased by me! What is ANFGB? The set sounds wonderful, and I definitely could use that balm for winter. I am hoping we can go to Hawaii this winter so maybe I'll find it there?? Oh my goodness, it sounds lovely. I want to try that Vacation Glow! I have not tried this brand but it looks super cute and so luxurious!! Great set for the right person. I wouldn't be good with the fragrance though unfortunately. I have heard nothing but great things about this brand and being from Hawaii - I'm very particular with things like this. I definitely want to try that balm, that sounds like the product I would love the most. Mahalo.... thank you in Hawaii. Come visit Hawaii :-) Never heard of this brand and I live here. This is a new brand to me, but it sounds incredible. I would totally try this kit if it was available. What an adorable little set. I love the packaging and attention to detail. That Pele Mask sounds like something I'd love to try. The Vitality Elixir sounds absolutely fantastic! I have never tried this line before! This sounds lovely! While I prefer floral/clean scents, I enjoy herbal, earthy scents, as well. Sounds amazing! I love the packaging too! I definitely have been in the market for a new mask that gets at my pores. This sounds wonderful! !